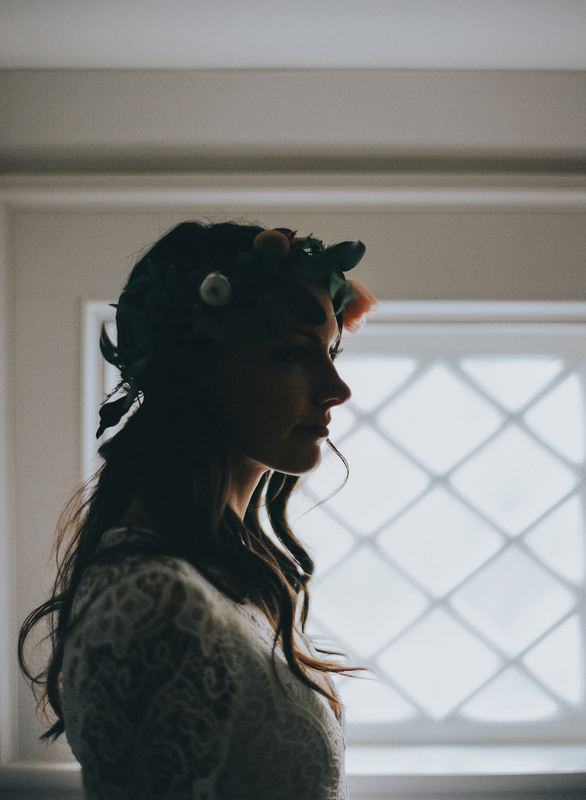 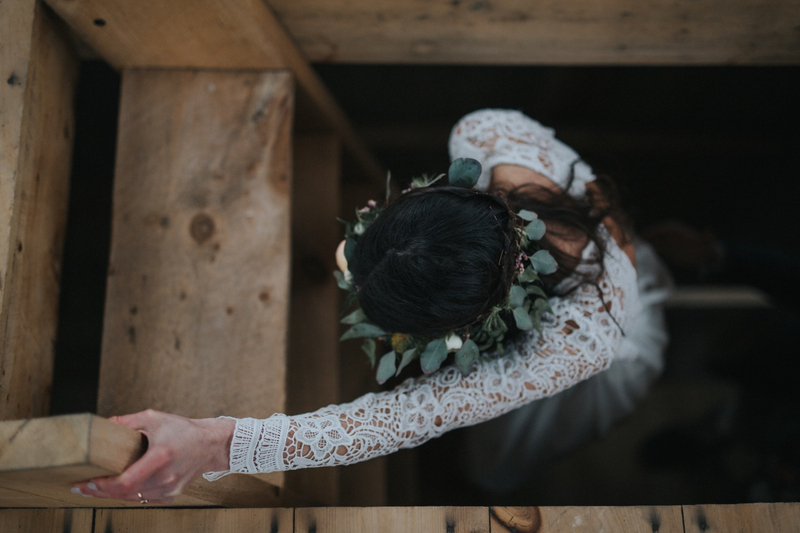 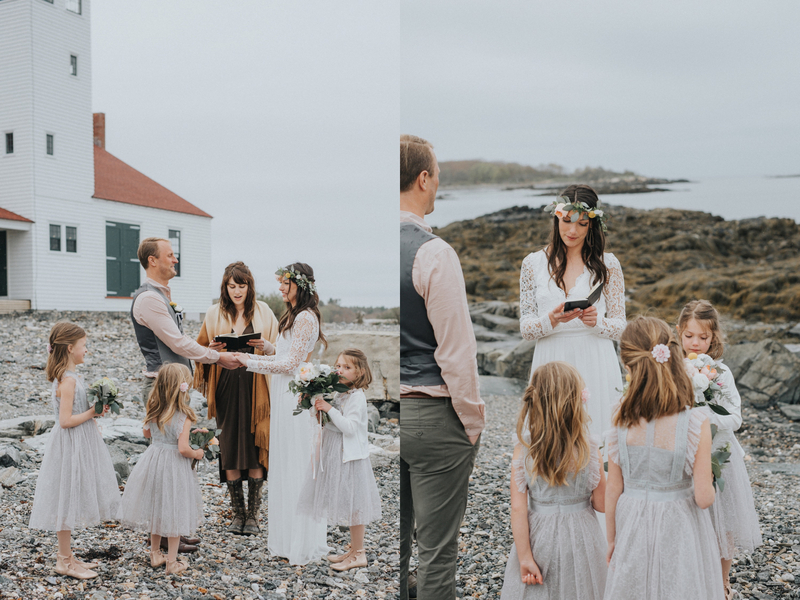 When I received an inquiry from this incredible bride asking me to photograph ‘just their ceremony in a field or on the beach’ I knew I was in for something good. 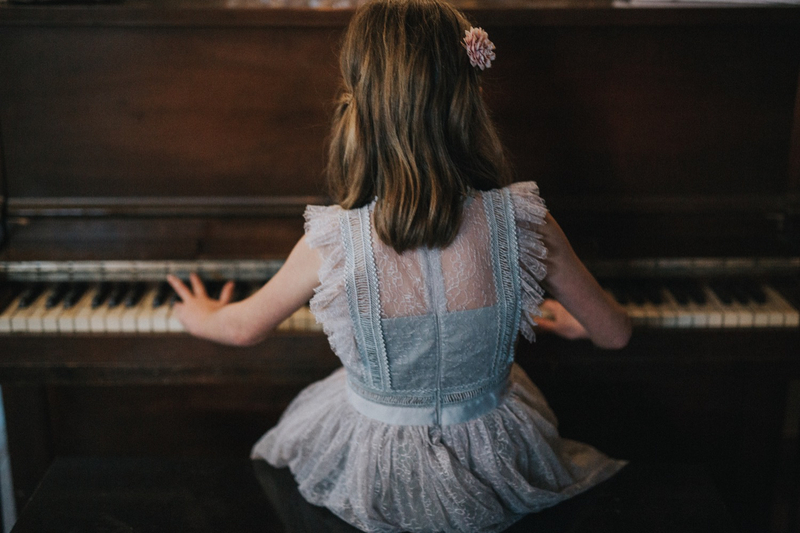 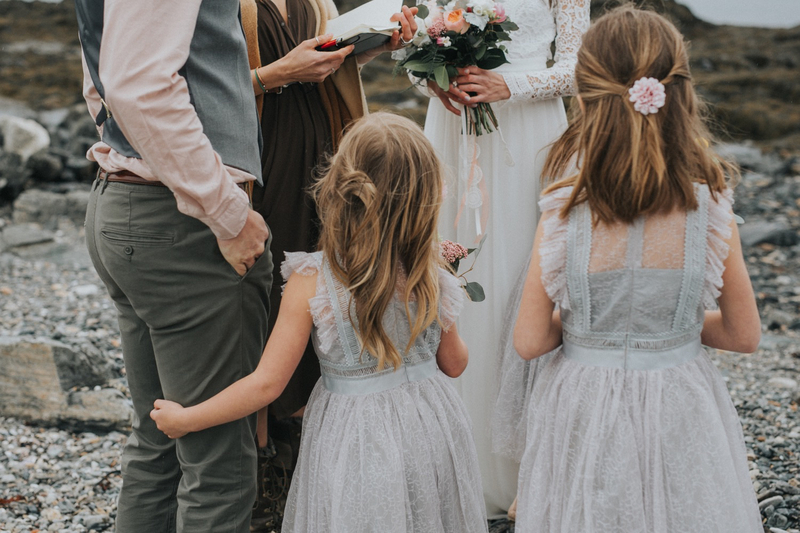 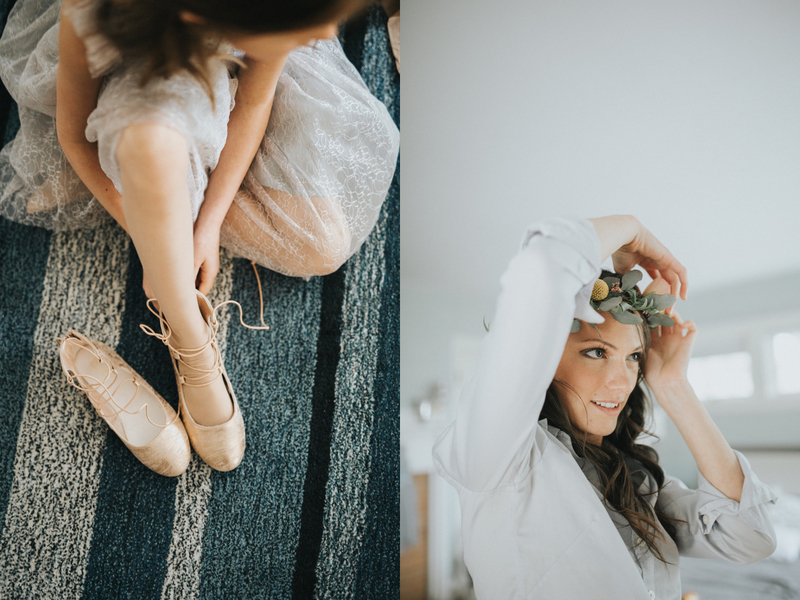 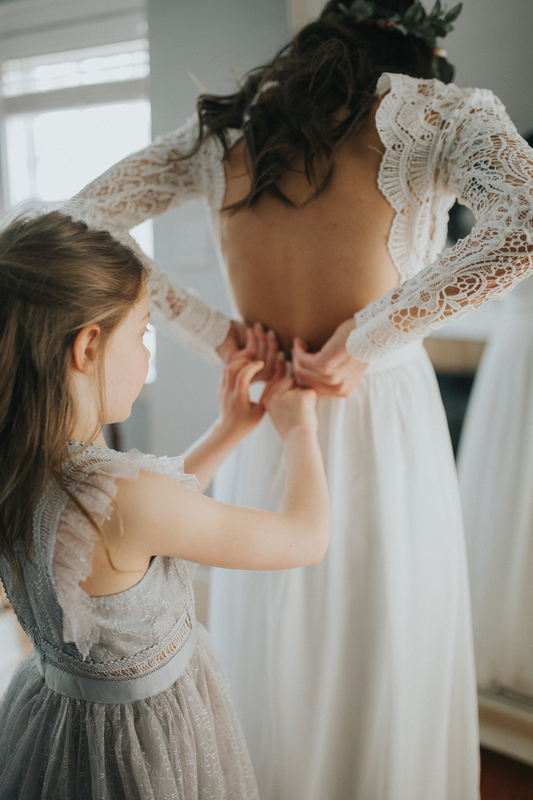 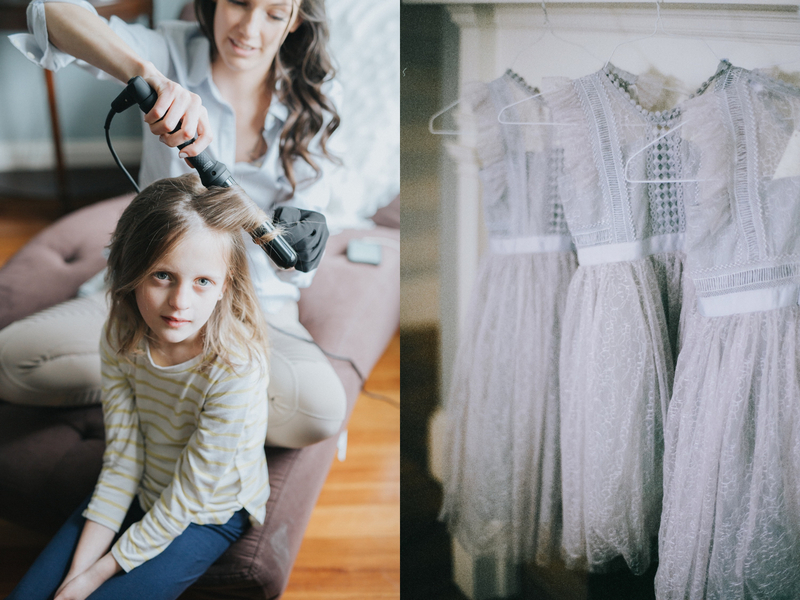 It’s surprising but I find that ceremonies often get swept under the rug at weddings so I really appreciate when the focus is all on this crucial part of the wedding day. 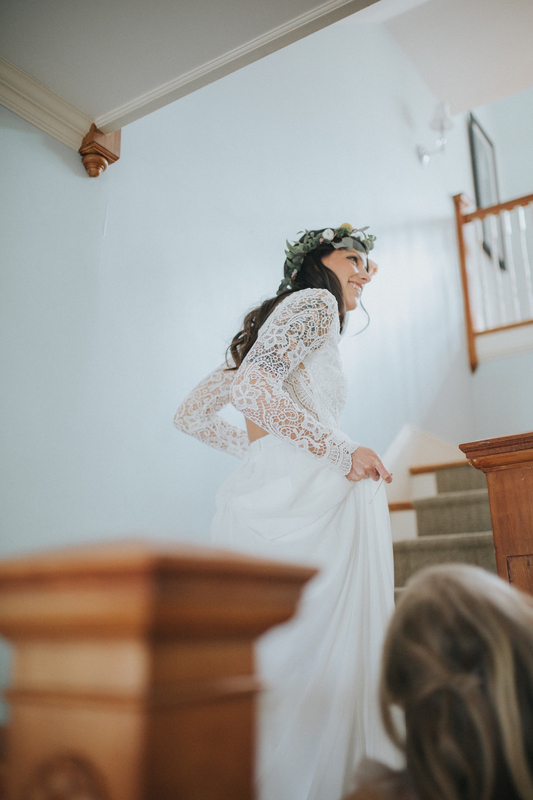 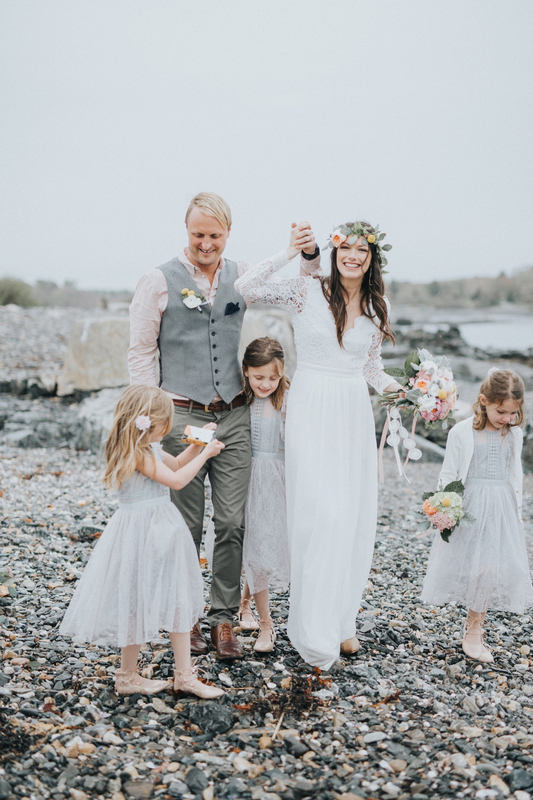 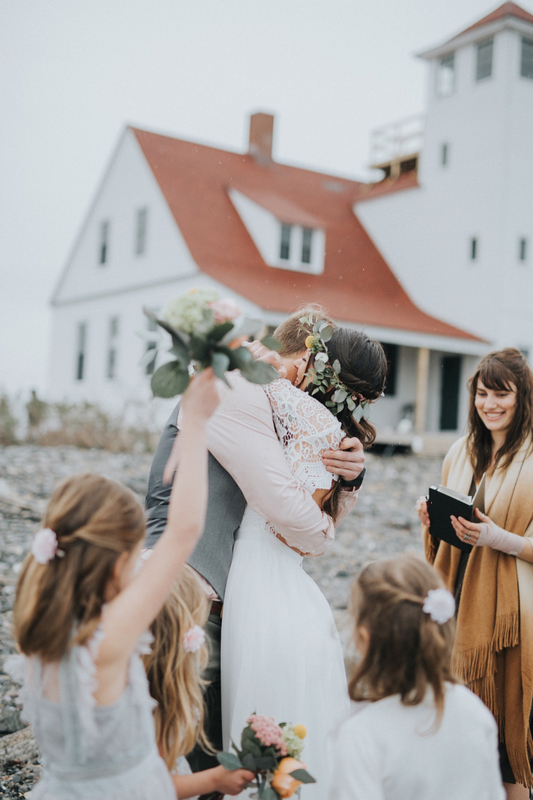 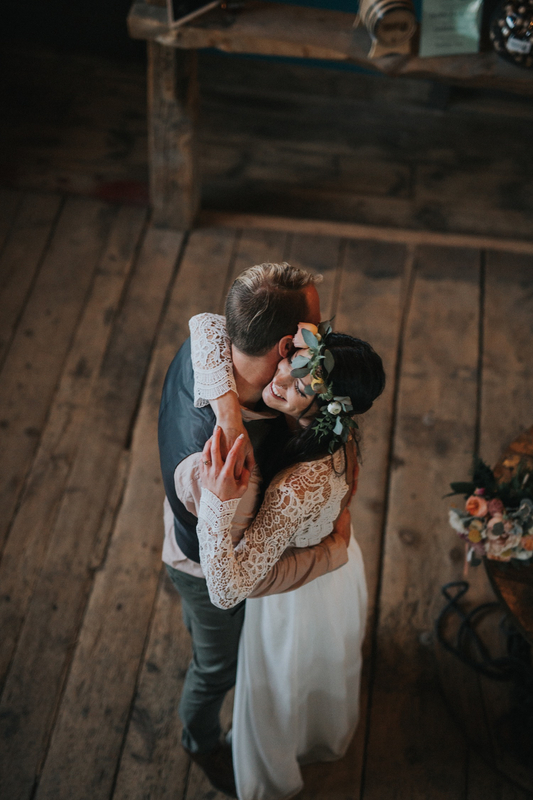 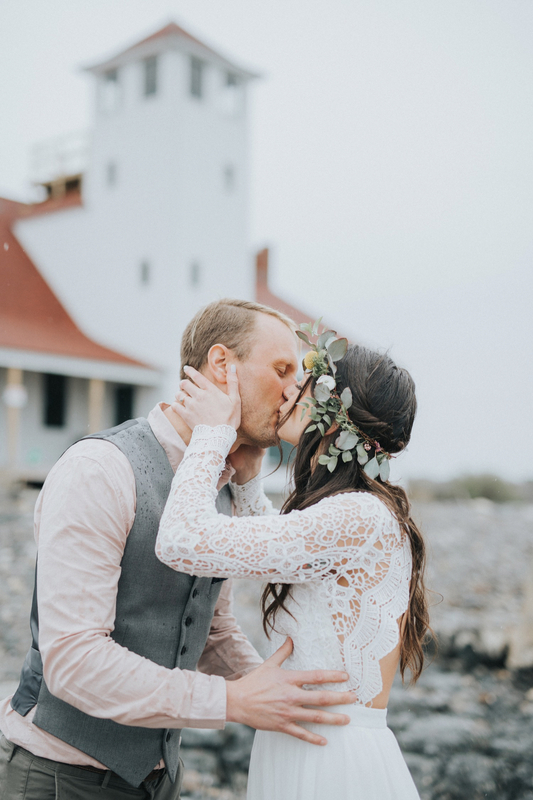 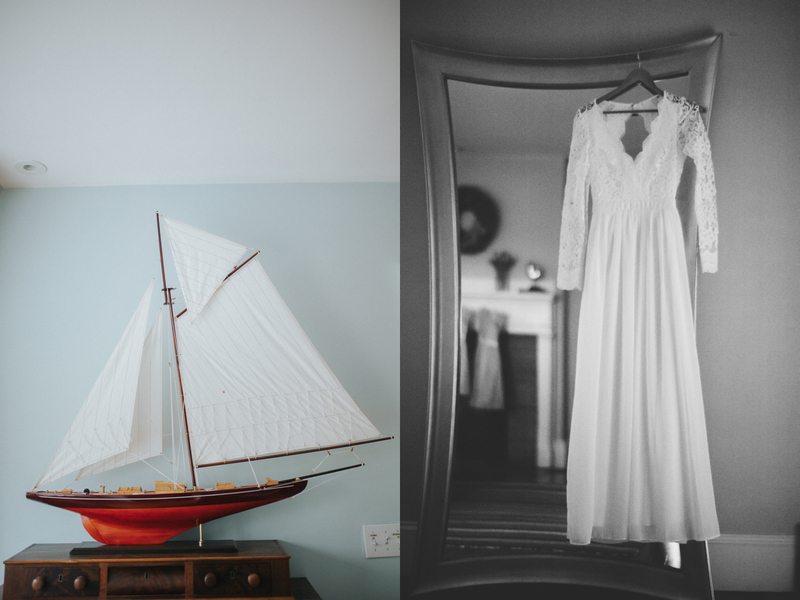 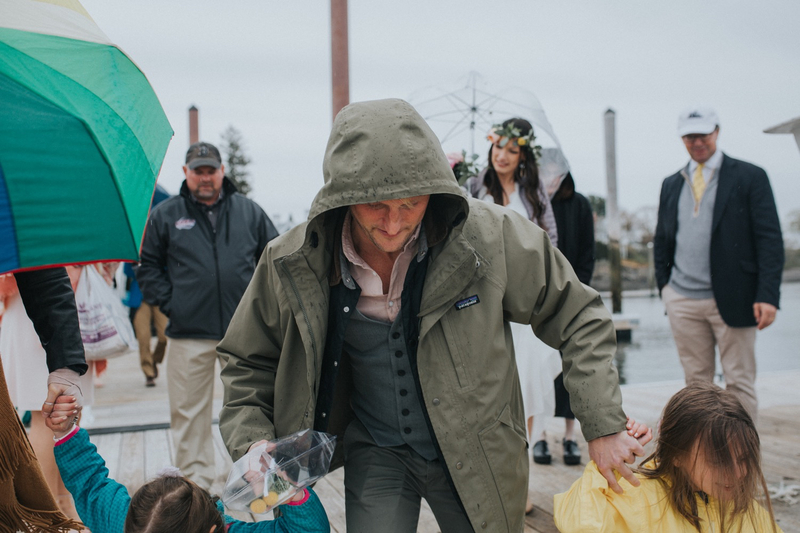 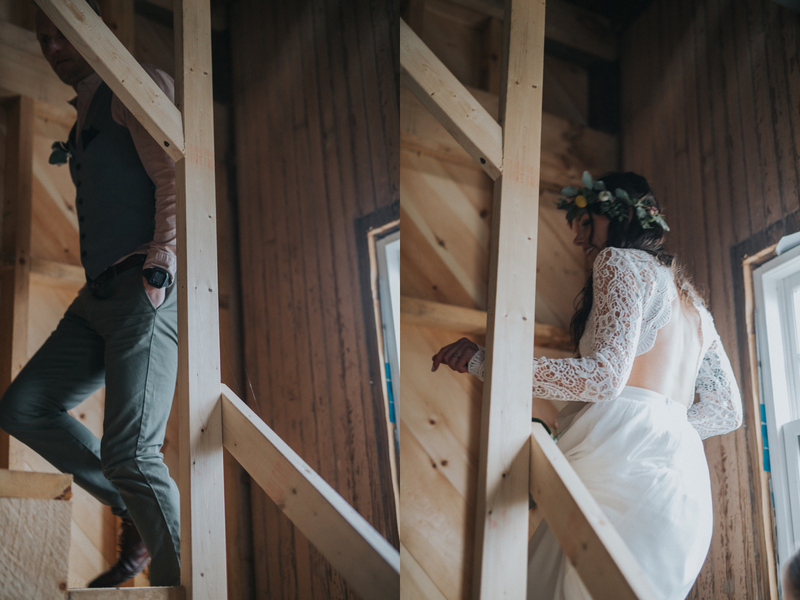 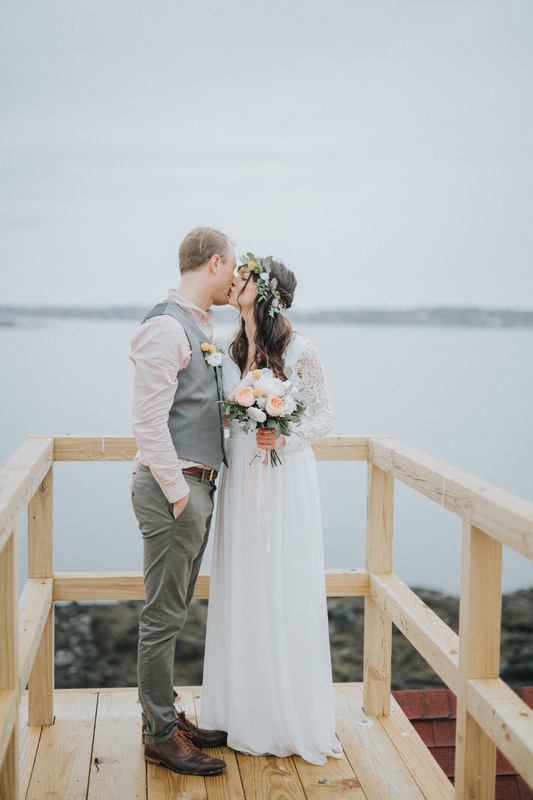 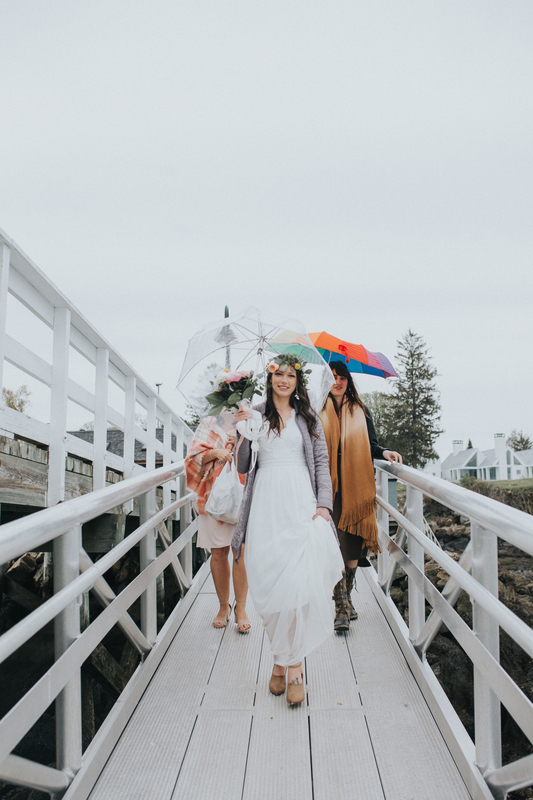 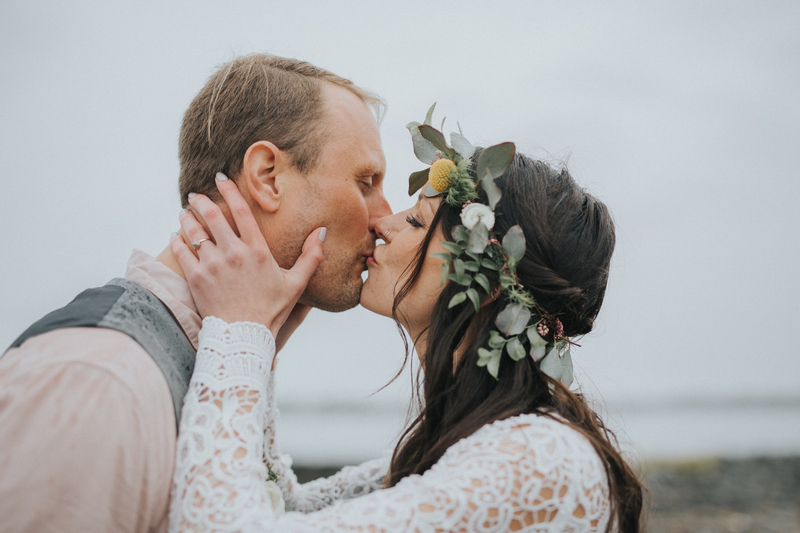 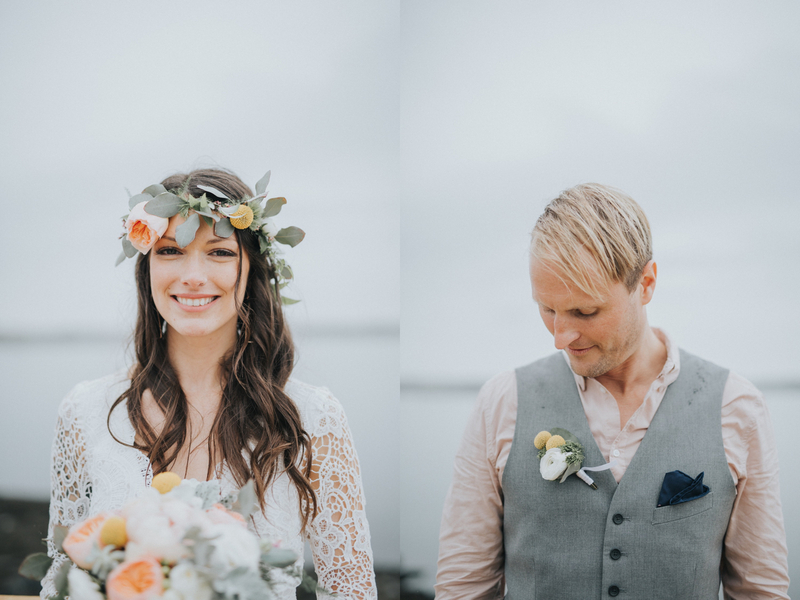 Fast forward almost a year after that initial email – Ashleigh and Trevor made history by being the first couple to ever wed on Wood Island off the coast of Kittery, Maine. 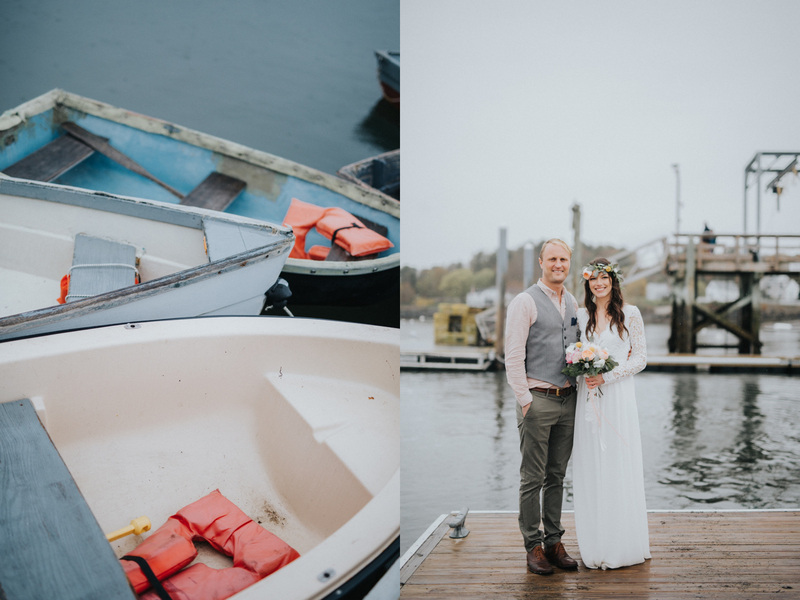 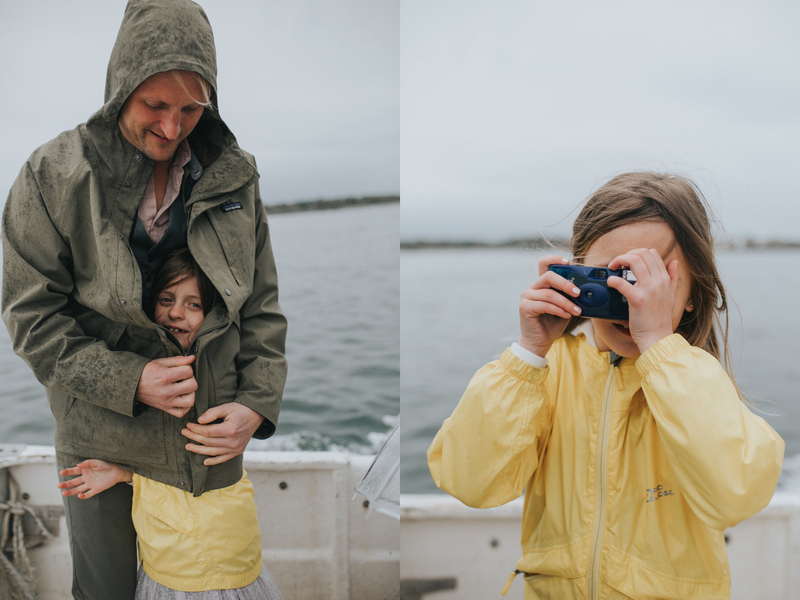 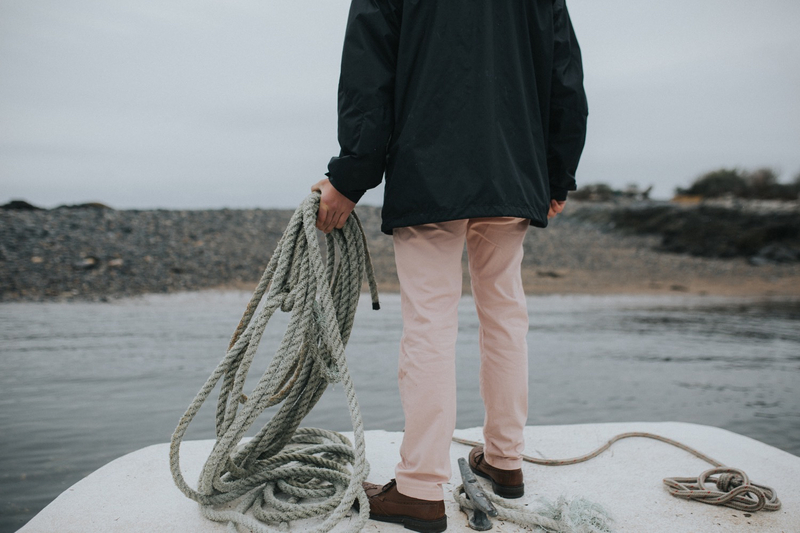 Since it was a stormy day in May, it came right down to the minute before deciding we would indeed brave the ocean waters on a skiff to their island of choice. 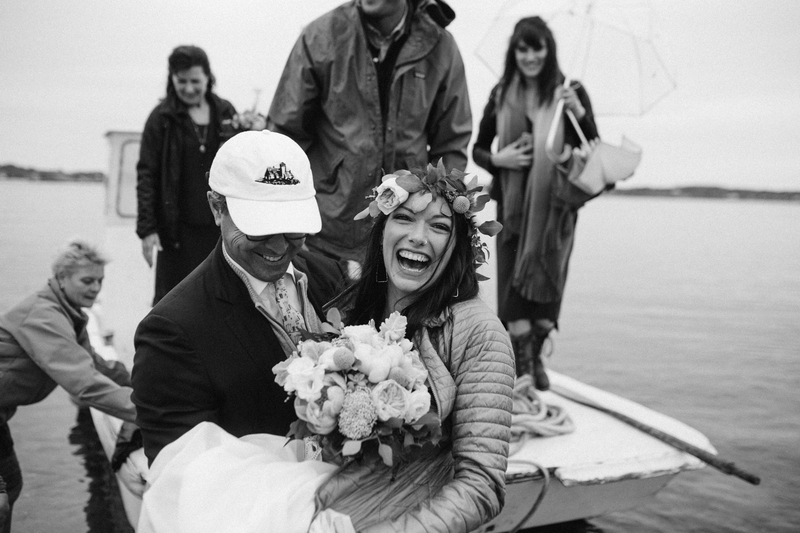 After arriving at the island, the bride was carried to shore and we made our way toward the life saving station. 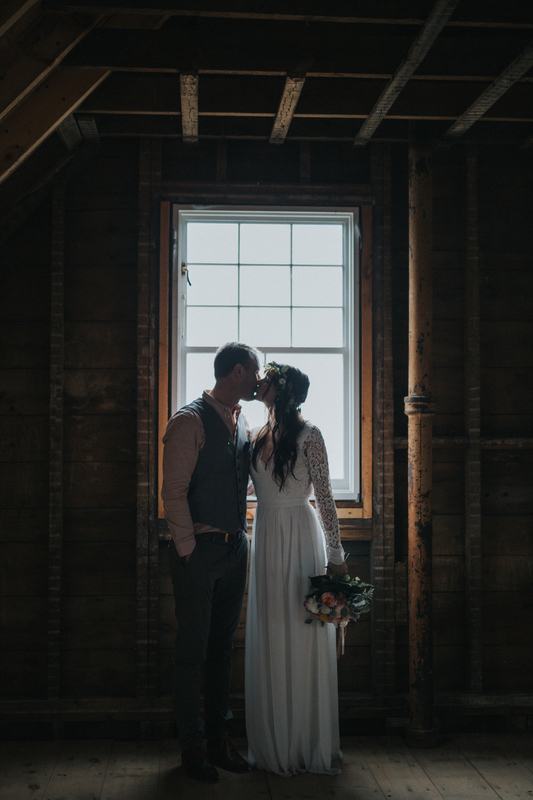 This beautiful building is from the 1800’s and recently restored. 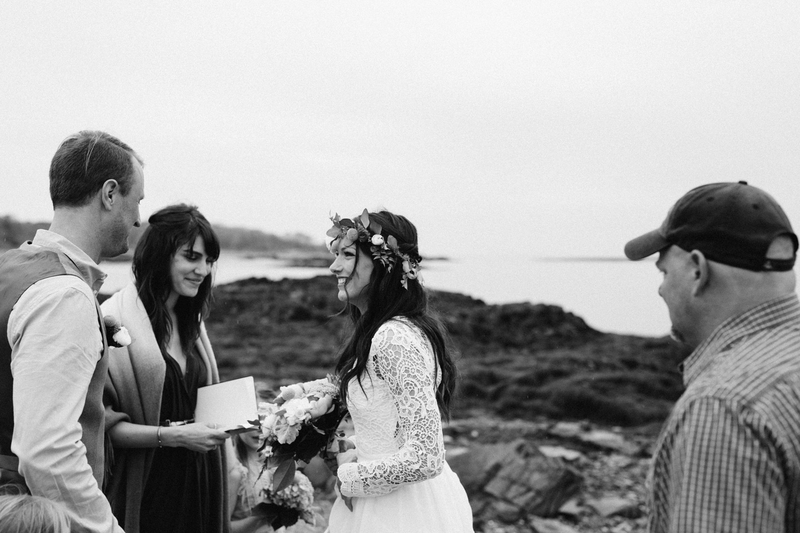 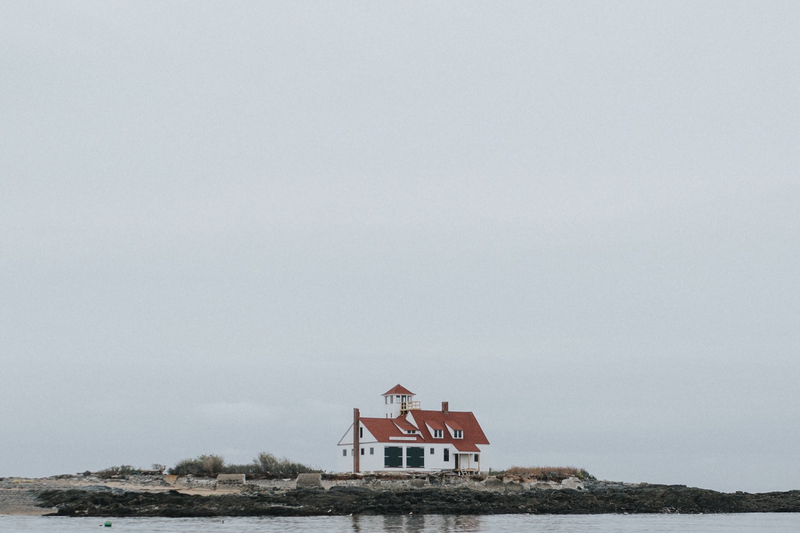 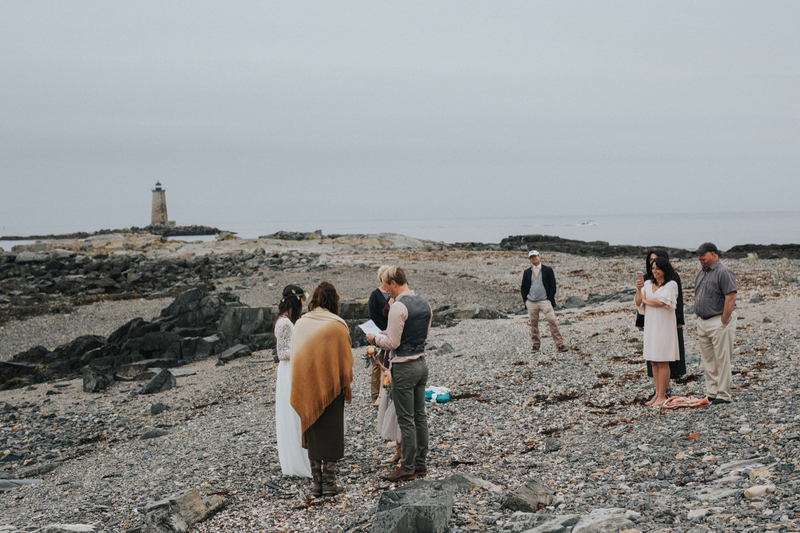 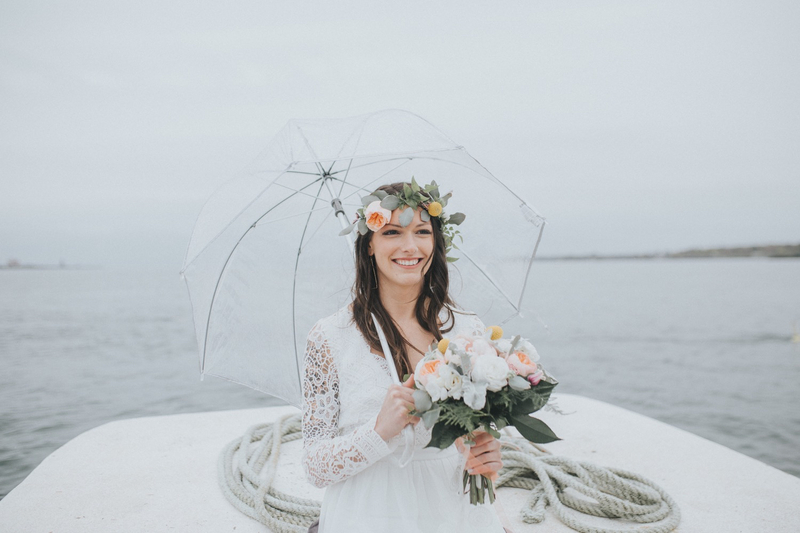 A stormy ceremony with handwritten vows and a lighthouse in the distance. 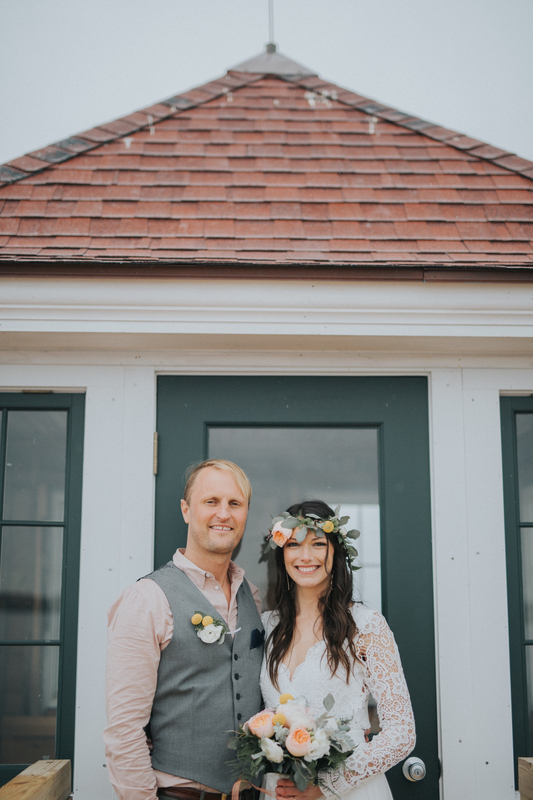 Ashleigh and Trevor truly achieved their goal of making their union special and focused on all the right elements. 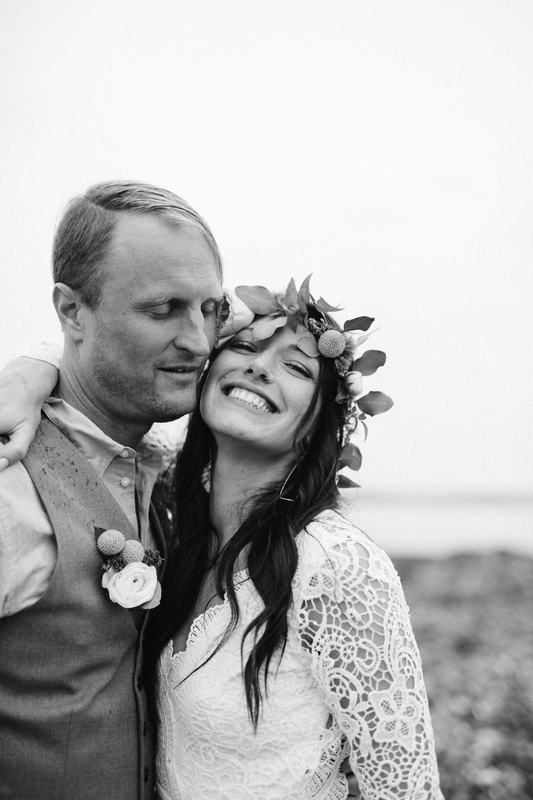 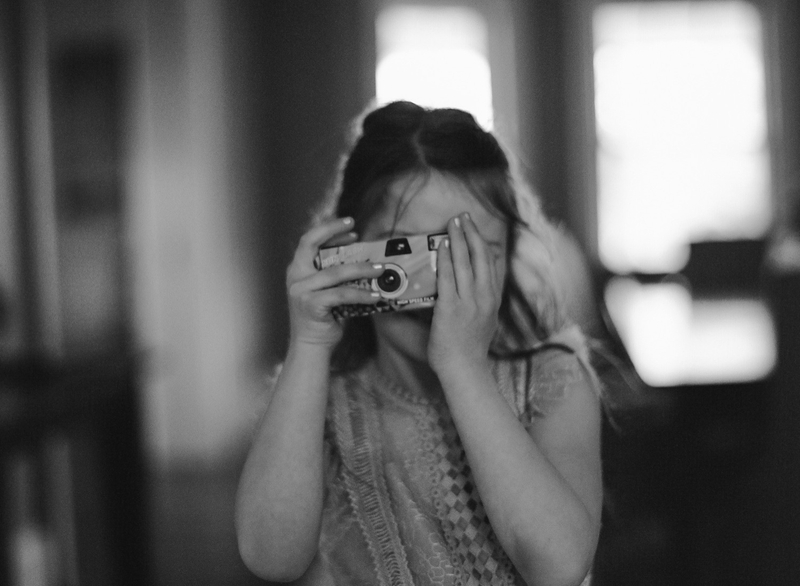 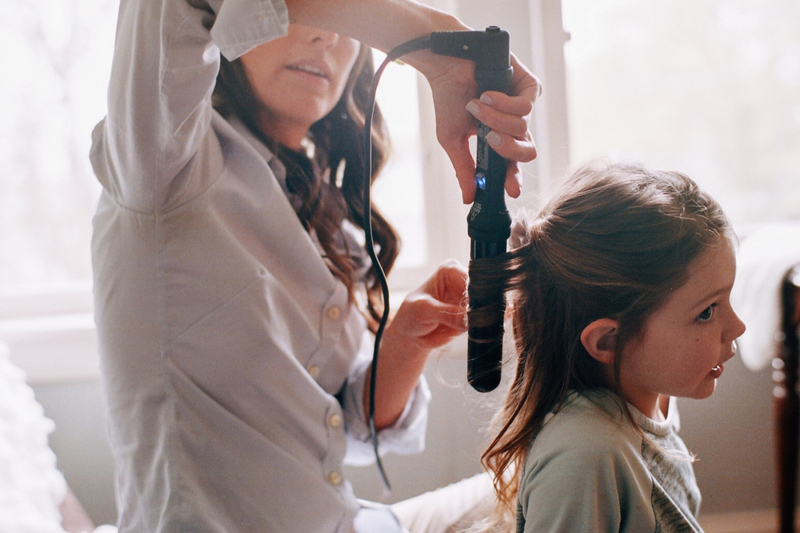 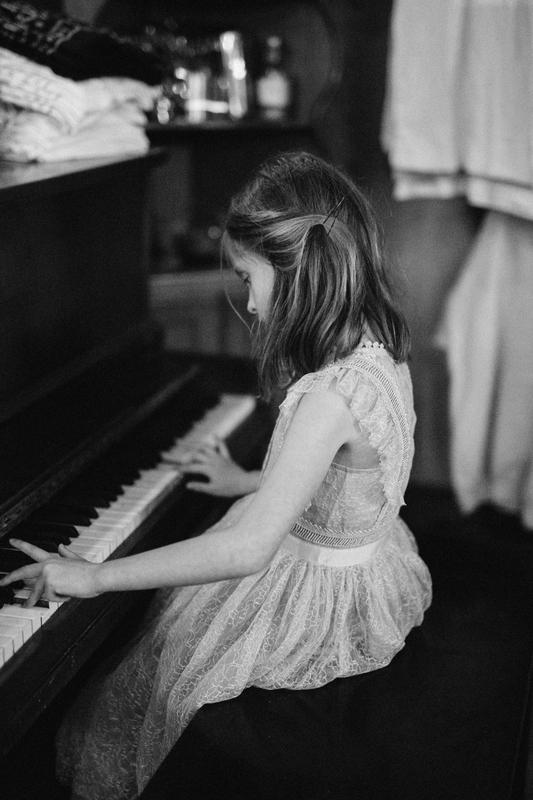 Spontaneity was one of the most defining elements they brought to their day. 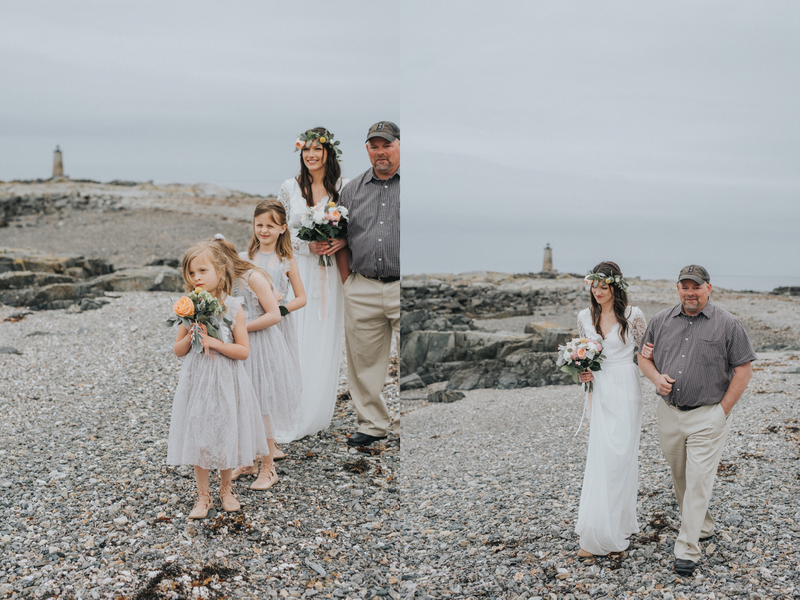 After portraits on the island everyone headed back to Kittery to finish the night with vodka milkshakes and a candid moments. 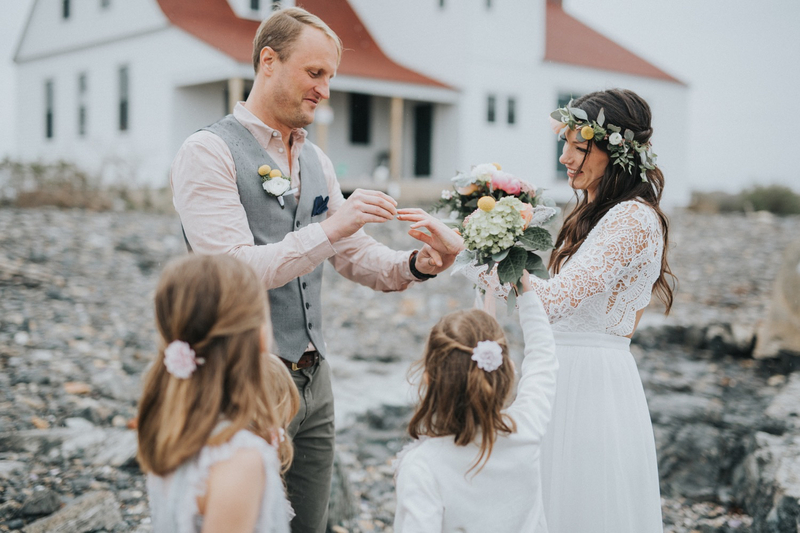 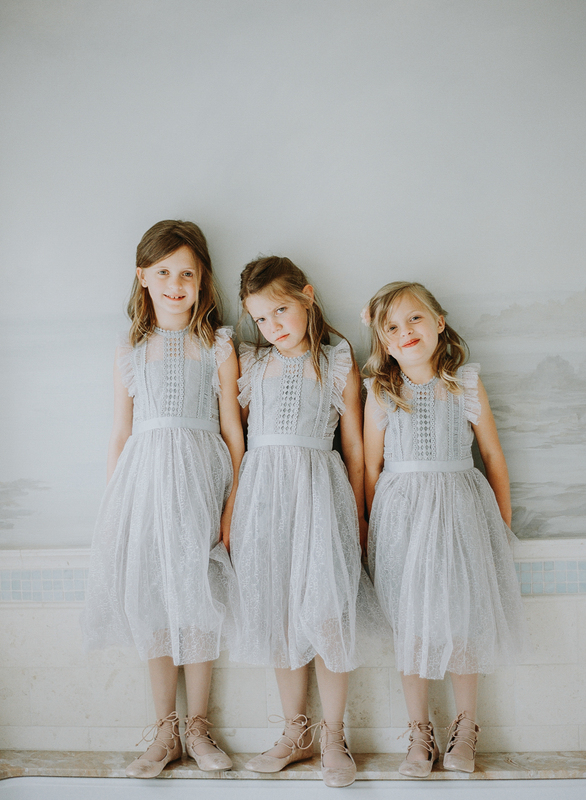 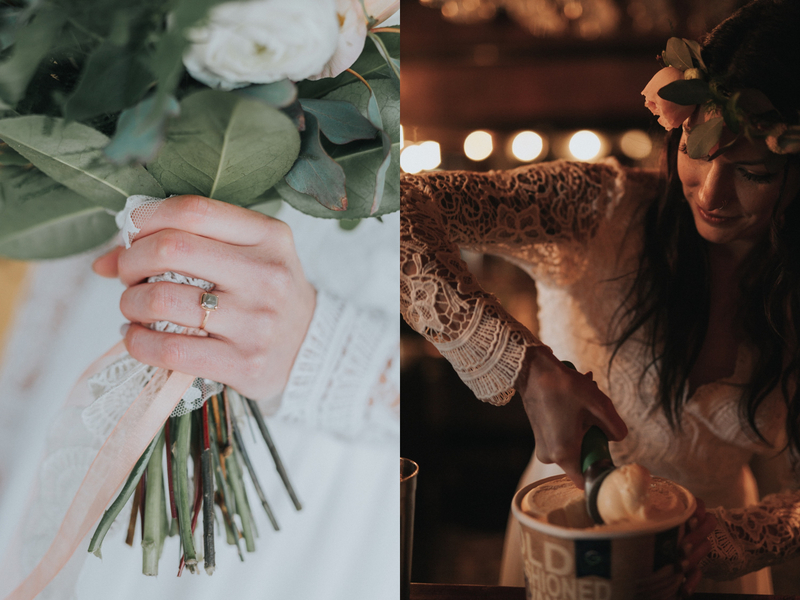 A special thank you to Seacoast Weddings magazine for featuring this wedding in their 2019 issue.